Your home’s heating and cooling system uses almost half of the energy that your home uses. A faulty and inefficient HVAC system will translate to a higher energy bill, which is why proper management of this important aspect of your home is very important. 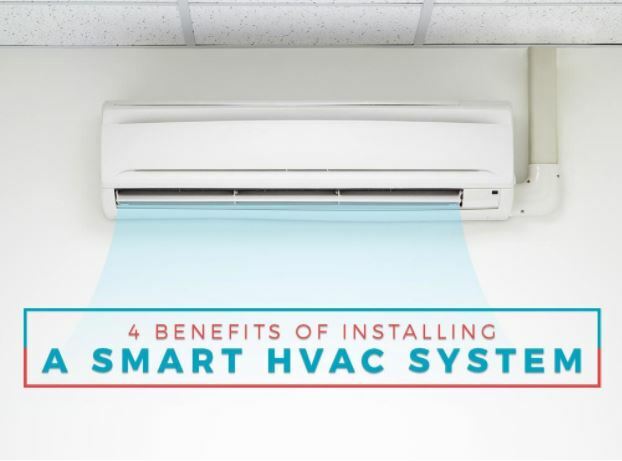 Green Air Heating and Air Conditioning lists the four benefits of installing a smart HVAC system. The biggest draw of switching to a smart energy-efficient systems is lower energy bills, which is a lifetime benefit for you. These energy-efficient systems can cut your bill by at least 20%, and also cool and heat your home more effectively than an ordinary HVAC system. Additionally, switching to a smart HVAC system lowers your carbon footprint, and is a good first step to being environmentally friendly. A smart HVAC system gives you the ability to control the variability of the temperature inside your home. You’ll be able to heat or cool a specific room in a more efficient way, without you having to sacrifice your mobility from within or outside your home. Installing a smart HVAC system allows you to take advantage of cleaner air, which reduces stuffiness and drafts. Our HVAC contractors add that the system can also detect elevated carbon dioxide levels. When this happens, the HVAC system boosts the amount of fresh air, ensuring stable comfort levels. Finally, a smart HVAC system can be accessed remotely. Even if you’re just on the way home, you can already start cooling or heating your house with just a few touches from your smartphone. No more waiting for the room to adjust to the comfort levels you want. 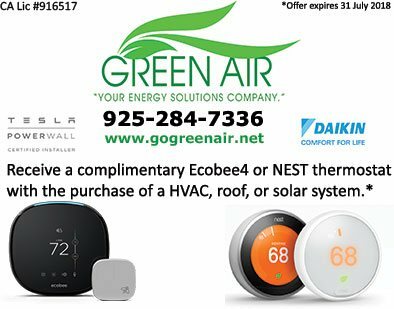 Green Air offers professional HVAC repair and smart HVAC system installation. Call us now at (925) 284-7336 for more information on our services. Our team of HVAC contractors serves homeowners throughout Concord, CA, and other parts of California.